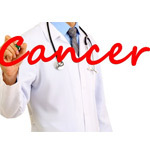 SATURDAY, March 22, 2014 (HealthDay News) -- Colorectal cancer is the second leading cause of cancer death, but there are ways of reducing your risk. "Colorectal cancer is largely preventable with early screening and detection," Dr. Anne Lin, assistant professor of general surgery for the University of California, Los Angeles, Health System and David Geffen School of Medicine, said in a UCLA news release. Taking the following measures can help you lower your risk of developing colorectal cancer, according to UCLA experts. If you have a normal level of risk, you should get regular screenings beginning at age 50. If you're at high risk -- with a personal or family history of colorectal cancer, other cancers or inflammatory bowel disease -- you should talk to your doctor about beginning screenings before age 50. Every day, eat 25 to 30 grams of fiber from fruits, vegetables, nuts, beans or whole-grain breads and cereals. It's also important to eat a low-fat diet, because colorectal cancer has been linked to diets high in saturated fat. You should also include foods with folate, such as leafy green vegetables. If you drink alcohol, do so in moderation. If you're a smoker, quit. The combination of drinking and smoking is associated with colorectal and other gastrointestinal cancers, according to the news release. Get at least 20 minutes of exercise three or four days a week. Moderate activities such as walking, climbing stairs or gardening may reduce your risk of colorectal cancer. A healthy weight is important because obesity might boost the risk of colorectal cancer. Tell your doctor about symptoms such as a change in bowel habits, blood in the stool, abdominal pain, weight loss or narrower-than-usual stools.